When a regular IROC Z isn't quite redneck enough for your needs...this thing appears. The original IROC might have been the mullet mobile, but this is the muddet mobile. 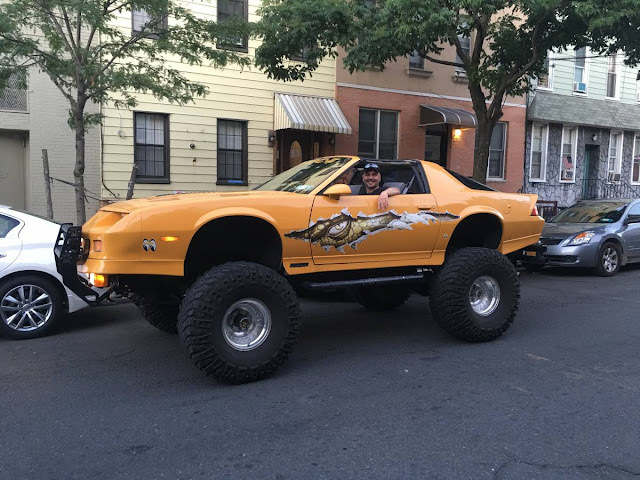 Find this 1987 Chevrolet Camaro IROC Z monster truck offered for $8,500 in Brooklyn, NY. See a better car for urban parking? forgettaboutit! This should be the Trumpians official limousine. The Donald could ride up front with his hair piece flapping in the wind..along with his gums.